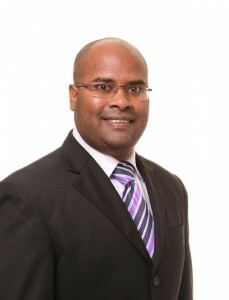 One of the Directors on the National Communications Network (NCN) Board of Directors, Imran Khan has resigned from the board given a decision to move ahead with the appointment of Lennox Cornette as the CEO of the state owned-company. Khan has raised strenuous objections to Cornette’s appointment in the past given that he allegedly forged the signature of a Guyana Telephone and Telegraph Company official while working for that company. In the letter Khan expressed regret that the circumstances do not permit for him to serve the full duration of the term for which he was appointed. “Specifically, I advised the Honourable Prime Minister that in light of the Chairman of the Board having reported to the Board, confirmation of admittance to an act committed by the individual recommended for a senior administrative position, that I could not associate my name with such an appointment. I therefore am of the conviction that continuing as a Director is untenable,” he stated. Reports indicate that Khan may have also been having some issues over the appointment of Bish Panday as Chairman of the NCN Board. Khan reportedly wrote to the Prime Minister complaining of the manner in which Panday chairs board meetings. “The Chairman lacks the demonstrable capacity to effectively chair the NCN Board. Not only is he weak but he has proven that with regard to the most critical of decisions he is prone to act in haste and make decisions which puts NCN, a company at the centre of the state’s national security at risk,” Khan reportedly stated.